Hi guys! I’m back again with another series to recap. 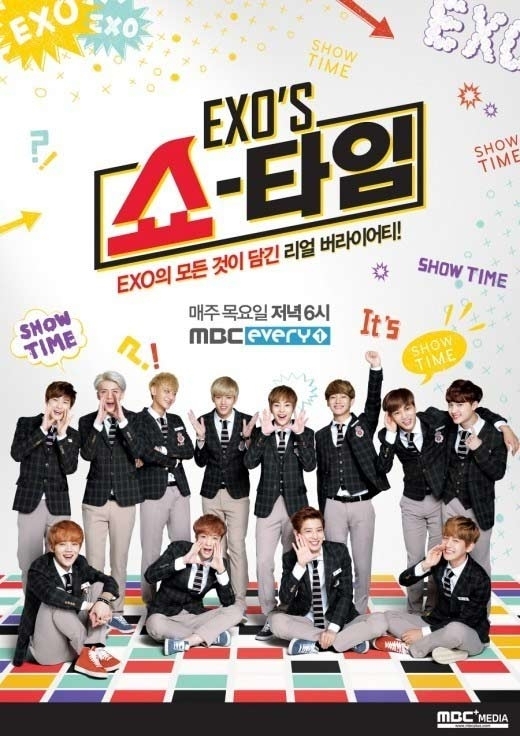 This time it’s EXO Showtime! You can’t not say the title without going EXOOOO Showtime! If you’ve watched the preview or the first episode, you know what I’m talking about. For this series, I’m not quite sure how I’ll format it, but for today I’ll just tell ya’ll my fave moments (members) in each episode. Now, we shall let out beast! You guys see what I did, corny I know. Kris has been blessed by the variety gods. Not only is he extremely good looking, he’s really funny. What’s great about his humor is that it’s the accidental kind. He tries so hard to be the cold, chic man but the show wouldn’t let him. And thank goodness they didn’t. He’s a variety show gem. From the hilarious orange juice wink relay to eating chicken to the very beginning where he finished their wave perfectly, Kris showed a totally different side of him. Now, he’s starting to completely ruin my bias list. Thanks. Did anybody else find themselves winking back at EXO? Because somehow I started to involuntarily wink back at them. Let’s call them the F4 of the episode. These four decided to go on a bike ride to answer the question: What do you do when you don’t have a schedule? They were so cute during their ride, complaining how cold it was. I mean that’s what happens when you ride your bike at night in November honey buns. Lol at Chen wearing shorts; poor baby must have been really cold. 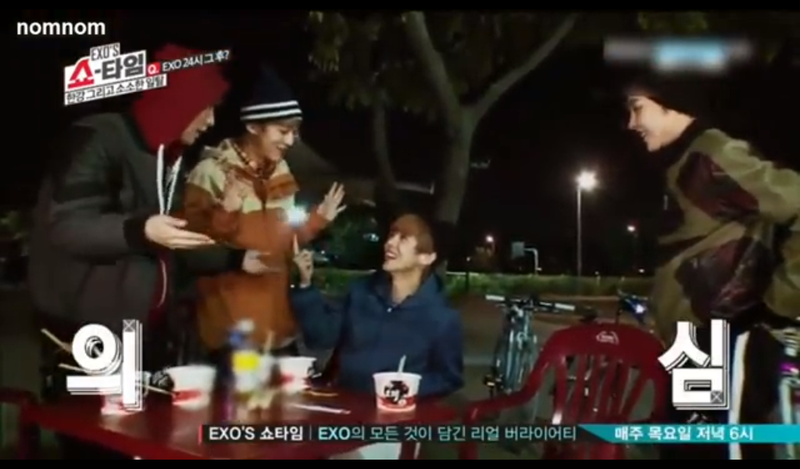 After their bike ride, they decided to eat some street food where they talked. Xiumin gets embarrassed when they call him the trends of trends in EXO. Chen feels burdened when people tells him he sings well, but feels great when they tell him he dances well. CHENcing Machine FTW! And that Lay and Xiumin moment, can we please have more of that? Is anybody else extremely impressed with Luhan’s Korean skills. Teach me, I’m in need of a boyfriend to help me learn the language,haha! Then Luhan suggests a game of Rock, Paper, Scissors to decide to cleans up. He loses, thanks to the help of Xiumin. 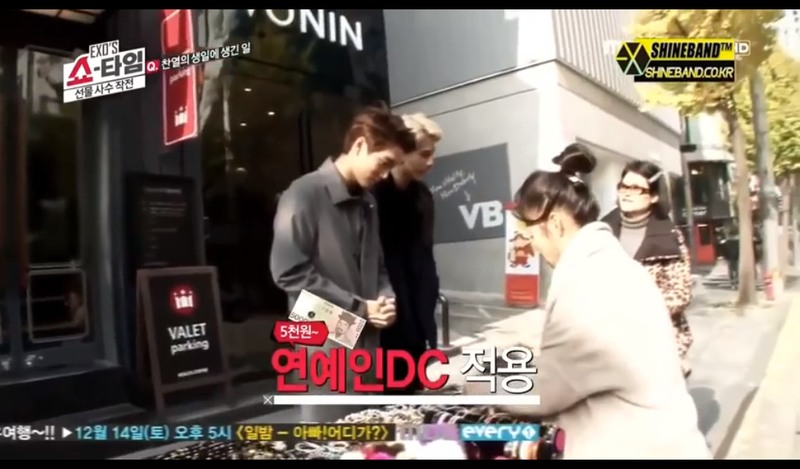 In episode 3, members went out shopping to buy Chanyeol a birthday gift. Chanyeol doesn’t know this and thinks they have to buy a present for one member. At first Chanyeol decides to stick with Kai and Sehun. They go into a hat shop where they ditch Chanyeol so that they can find a gift for him. Let me tell you this now, you should never put these two together when they have to look for a gift and they have no money. Their gift ideas are my level of gift giving, maybe even better. Just ask T, lol. Just watch the clip below and you’ll know what I mean. The first 3 episodes of EXO Showtime was pretty good. I’m excited to see what questions they ask EXO for the upcoming episodes. What would guys like to see from them? Let me know in the comments below! Big Bang Trivia x Egg Roulette Challenge! 94Merry on What Kpop genre am I?